Abstract: The need for large-scale data processing has never been greater than it is today for modern social and mobile services. At the surface, these services need database features such as fast query response times, scalability, and data integrity. But in case after case, every such large service uses database management systems (DBMSs) largely as a dumb transactional data store. In this talk we will examine the reasons behind this unfortunate situation, and examine how the database community can become central to driving and growing such services – just as we did for enterprise data applications three decades ago. 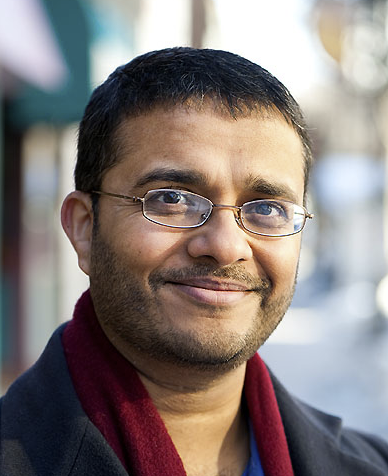 Bio: Jignesh M. Patel is a Professor at the University of Wisconsin-Madison. He received his PhD from the University of Wisconsin- Madison in 1998. His current research interests are in large-scale data management, spatial data management, and biological data management. He is the recipient of an NSF Career Award, multiple IBM Faculty Awards, and the CIDR 2007 Gong Show Timeless Idea Award. He has served as the VLDB 2009 Core Database Technology PC Chair, as Vice-Chair for IEEE ICDE 2005, as an Associate Editor for the Systems and Prototype section of ACM SIGMOD Record, and as an Associate Editor for the IEEE Data Engineering Bulletin. He is also the co-founder of Locomatix, a startup providing cloud-hosted location services and solutions. Under his leadership, Locomatix has won numerous awards including being named the 20 hottest startup by MobileBeat in 2010, and being selected as the top 16 Innovative Startups by CTIA in 2010. Abstract: Word-of-mouth diffusion of information is of great interest to planners, marketers and social network researchers alike. In this talk I discuss two recent studies of Twitter users. The first considers 90 million diffusion events that took place on the Twitter follower graph over a two-month interval in 2009. Although the largest cascades tend to be generated by users who have been influential in the past, and from urls that were rated more interesting and/or elicited more positive feelings, predictions of which user or URL will generate large cascades are unreliable. The main upshot of this result is that word-of-mouth diffusion can only be harnessed reliably by targeting large numbers of potential influencers, thereby capturing average effects. In addition, I also consider a family of hypothetical marketing strategies, and argue that under a wide range of plausible assumptions the most cost-effective performance can be realized using relatively 'ordinary influencers'---individuals who exert average or even less-than-average influence. In the second study, I describe some results about the distribution of attention on Twitter between categories of “elite” users, identified using Twitter lists, and “ordinary” users. These results also shed some interesting new light on the classical theory of the “two-step flow,” one of the dominant theories of 20th Century communications research. Bio: Duncan Watts is a principal research scientist at Yahoo! Research, where he directs the Human Social Dynamics group. He is also an adjunct senior research fellow at Columbia University, and an external faculty member of the Santa Fe Institute and Nuffield College, Oxford. His research on social networks and collective dynamics has appeared in a wide range of journals, from Nature, Science, and Physical Review Letters to the American Journal of Sociology. He is also the author of Six Degrees: The Science of a Connected Age (W.W. Norton, 2003) and Small Worlds: The Dynamics of Networks between Order and Randomness (Princeton University Press, 1999). His upcoming book, Everything Is Obvious: *Once You Know the Answer (Crown Business, 2011), will be released in March 2011. He holds a B.Sc. in Physics from the University of New South Wales, and Ph.D. in Theoretical and Applied Mechanics from Cornell University.